The MTA has had one of their subway lines earn an average or just below average grade in their respective 2007 Rider Report Card. Please work with me here folks as one can only say the same thing in so many ways. As with many of its peers, today’s culprit is considered average or just below average. 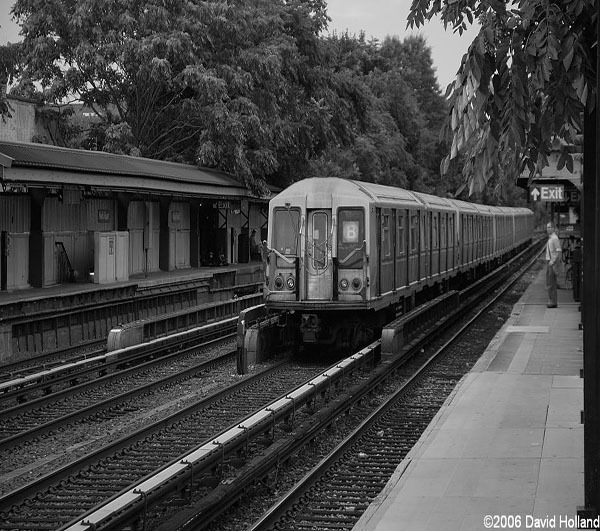 Today’s culprit which happens to be the B train, earned a C- for its overall grade. Now lets get straight to the full breakdown. I will be the first to admit the B is not a line I ride often. However based on my experiences riding the line over the years, I feel this report card is pretty accurate. When I have ridden the B the train seems to always have at least one snag that seems to take forever. I’ve noticed this usually takes place in either midtown or as it is going over the Manhattan Bridge. I also have noticed that for as nice of an express run the B provides along the Brighton Line, the Q is much more consistent. I would always see people get off to catch the express but we would usually always beat them as the B took more than 2-4 minutes to show up. So the express advantage definitely tends to be negated when comparing it to the local Q train. The only shock to me in regards to this report card is the placement of station announcements at #10. I happen to agree with Benjamin Kabak of Second Avenue Sagas a 100% in regards to the quality of the announcements & its rank on the list. I would have thought this would have been in the top 5 at most as far as priorities are concerned. I suggest you check out Benjamin’s breakdown of the B’s “Rider Report Card” since he has much more experience with the line especially being a daily rider. He brings up excellent points as to why it will be hard if not impossible to improve parts of B service. I will end this by saying the number of responses received was quite low. I guess I am not as surprised especially considering this is a part time line.